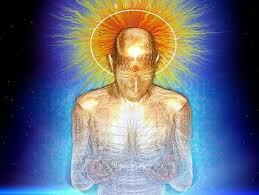 Dr. Villoldo uses a method for tracking the imprints within the Luminous Energy Field. He employs muscle testing – a way of using the body to find out useful information about the body or what is going on with the individual subconscious. Alberto adapted this testing to track for imprints – he found this method could be very accurate way of doing so, at least until one is able to “see” the field and diagnosis in that way. Below are a couple of ways to muscle test: #1 – is to test someone else and #2 – is to test yourself. Try them out. I usually use a different method of rubbing the thumb and middle finger together, using skin resistance as the indicator of truth or not. But which every method used, I’ve either experienced or heard they work very well. Alberto Villoldo provides another way to open up sacred space, outside of calling on the four directions. The alternative approach works with the eighth chakra – starting in a similar way to sensing the luminous energy field (“Reading Your Energy – 2/2/12). Place your hands in prayer pose. 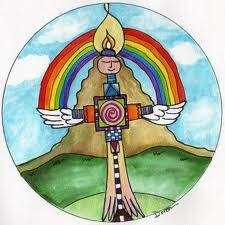 Raise them above your head into the eighth chakra (pictured above). Separate your hands to open the chakra, turning the hands out, and fanning them down shaping a dome around yourself. Welcome serpent, jaguar, hummingbird, & eagle. Thank Mother Earth and Father Sky. Reverse movements to close the sacred space. End with hands in a prayer pose. Release serpent, jaguar, hummingbird, eagle. Thank Mother Earth and Father Sky. There are a couple of ways to open sacred space. The video post on 2/15 shows one of them. The video demonstrates shamans in various scenarios up opening up sacred space. Use this prayer (or something similar). As you start the prayer, address the south, face that direction. When addressing each of the directions, either take the smudge stick and fan it with hand or feather in that direction, sprinkle scented water, or raise your hand to salute each direction, shake rattle. Then touch the earth and look upwards in to the Heavens to signify connection with Mother Earth and Father Sky. Close the Sacred Space by thanking each animal spirit. Now the text, states if you wish to connect with a particular archetype, to leave a specific one open instead of closing that direction. The request will be to have the animal enter you and assist you (or whoever you are working on) with the session. But it only mentions to “blow” the energy into the crown of the person you are working on. Not how to do it for yourself. What is this Sacred Space? It’s an environment that you create conducive to healing. This area is intentionally peaceful and calming. Within the prayer, the four cardinal directions — as well as — the sky and earth are mentioned: South (serpent), West (jaguar), North (hummingbird), East (eagle or condor), Mother Earth, and Father Sun. 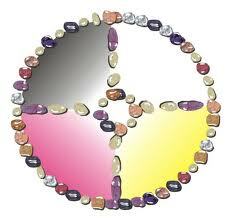 Each represents a specific energy or spirit. Tomorrow, I will review some details about these archetype animals. Today, we start the process of releasing ourselves from our current eyesight to the sight of a shaman. By creating an alternative “optic nerve”, we connect the heart and the third-eye chakras to the visual cortex in the back of the brain. This is not exactly the exercise we’ll be practicing, but its a general idea of the pathways of travel of our “new optic nerve”. Instead of using a large ring, the act of tapping is used, the order is different, and we perform this upon ourselves, but otherwise the concept is the same. Also, as mentioned a few days ago, the post “Reading Your Chakras” stated the process was a quantitative measurement of the chakras, but I am feel it’s more a qualitative measurement. The concept is about the feeling of the chakra – that is very subjective; we each sense things in a very unique way. It cannot be measured with a ruler or measuring cup. So being successful at “reading” requires careful attention and thoughtful contemplation. 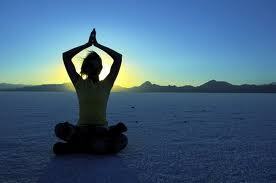 The Second Awareness Exercise, on the other hand, is one where we can sense the stories the chakras tell us. I found the below document called the Munay-Ki Transmission Rites – will go over the entire document in the future – but for now, the focus is The Second Awareness Exercise found on page 33-35. We will look at this in detail tomorrow.